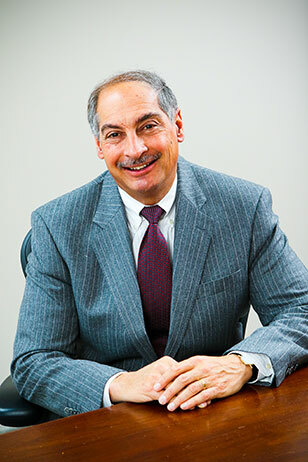 Frank P. Arleo – Arleo & Donohue, LLC. Frank Arleo has tried scores of criminal and civil cases in courts throughout the State of New Jersey. Indeed, he has more trial experience than most of the lawyers at the largest firms in the State. Since he began practicing law in 1982, Frank has built an impressive track record as a litigator who can quickly get to the essence of the case. He is skilled at identifying the crucial issues in each case and marshalling the facts and law to his clients’ advantage, which has led him to obtain numerous favorable verdicts at jury trials. Frank has earned impressive victories in both the criminal and civil areas. He has represented countless criminal defendants in federal, state, and municipal court. Frank’s zealous advocacy has often led to dismissal of charges against his clients. Frank has achieved similar success in the civil arena. He has represented both plaintiffs and defendants in a variety of commercial disputes and has developed an expertise in insurance coverage actions. He also has a substantial personal injury practice, representing plaintiffs in a wide variety of matters. Frank is frequently able to obtain positive outcomes for his clients prior to trial, such as summary judgment or fair settlement awards. However, he is always prepared to litigate a case in order to achieve the best results for his clients and has obtained favorable trial verdicts in several civil cases. Frank’s clients appreciate his practicality. He recognizes that his clients benefit by early intervention, and he frequently is able to save his clients’ time and expense through mediation and other forms of alternative dispute resolution. In-house counsel supervising litigation have been especially responsive to Frank’s result-oriented approach. Consequently, a number of institutional clients have retained Frank to handle their New Jersey litigation. Frank is married to Madeline Cox Arleo, who is a United States District Judge for the District of New Jersey. They live in Essex County and are involved in a number of charitable and civic organizations. In their spare time, they both enjoy traveling with friends and family. Copyright © 2016. Arleo & Donohue. All Rights Reserved. View Disclaimer.